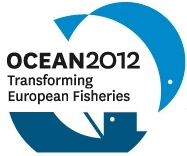 The main research component (80%) is organised under International, European and National funding and collaborations since mid-1997. 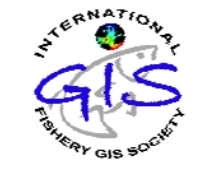 Research projects are listed here while major research outcomes are described in Geographical Information Systems in Oceanography and Fisheries and other peer-review and conference Marine GIS publications and Special Issues. The educational/teaching component (20%) focuses on the Marine GIS familiarization of undergraduate and graduate students of various Hellenic and European universities under individual exercises and study rotations. Since 2002, many students attended the exercises and rotations and carried out the GIS component work of their MSc-PhD thesis. Teaching activities are further supported through Marie Curie Mobility Projects (Jan06-Dec09: MC-ECOSUMMER and Jan10-Apr12: MC-EFH/GIS). Serving as part of *Hydrobiologia*, and *Scientia Marina* Editorial Boards. - Hydrobiologia publishes original research, reviews and opinions regarding the biology of all aquatic environments. - Scientia Marina publishes peer-reviewed articles in marine biology and ecology, fisheries and fisheries ecology, systematics, faunistics and marine biogeography, oceanography and marine geology. Additionally, review services are provided as part of the referee pools of Marine Ecology Progress Series, International Journal of Remote Sensing, Environmental Science & Technology, Environmental Modelling & Software, Marine Biology, Fisheries Research, Progress in Oceanography, Indian Journal of Marine Sciences, Remote Sensing, ICES Journal of Marine Science, International Journal of Ecology, International Journal of Geographical Information Science, Transactions of the American Fisheries Society, Regional Environmental Change, Frontiers in Marine Science, Fishes, Journal of Mountain Science, The Research Promotion Foundation of Cyprus, The US National Science Foundation and The Rhode Island Sea Grant.